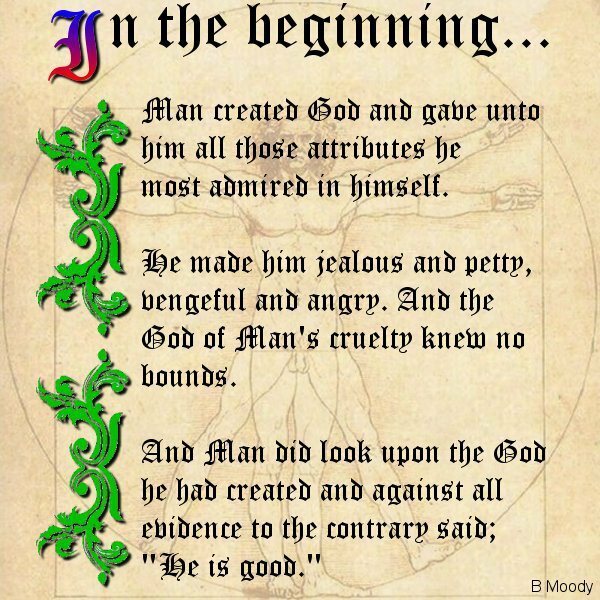 In the beginning... man created God and gave unto him all those attributes he most admired in himself. He made him jealous and petty, vengeful and angry. And the god of Man's cruelty knew no bounds. And Man did look upon the god he had created and against all evidence to the contrary said: "He is good."